First off, pineapples are DELICIOUS. There's something about that prickly fruit that has everyone going bonkers! Pineapples also popping up everywhere, from fashion to home decor. They'd be perfect for destination and summer weddings, and a fun surprise at bachelorette and bridal showers! 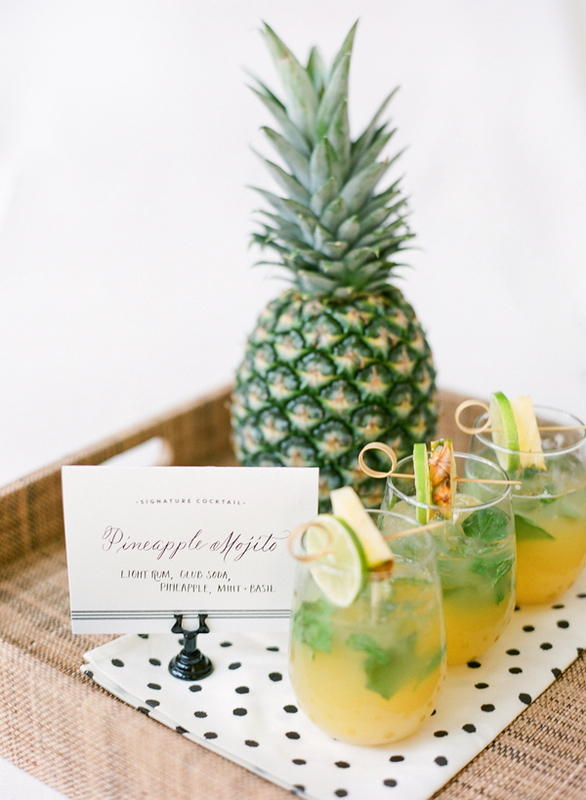 Check out more of our favorite Pineapple inspiration on our Pineapple Pinterest Board!